Mood disorders in Parkinson's disease are very common. 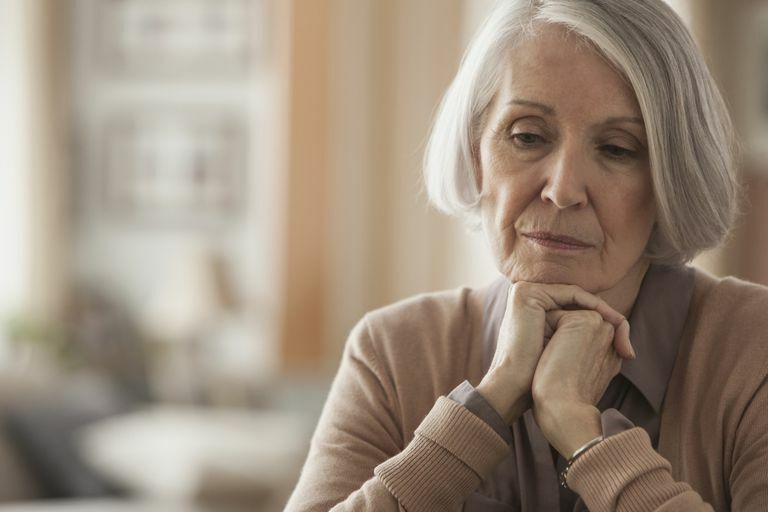 Not only does a mood disorder result in additional physical and emotional symptoms, but they aggravate those that are already present as part of the Parkinson's diagnosis. Depression is unfortunately very common in Parkinson’s disease, estimated to exist in up to half of the population affected by this chronic illness versus 1 in 10 adults in the general population. When present, it is associated with increased disability, poor quality of life, caregiver stress and increased use of medical care, both as an inpatient and outpatient. Depression, however, can be difficult to diagnose. One issue is that both physicians and patients have a misconception that depressed mood is somewhat normal in the experience of chronic illness. Undoubtedly a feeling of sadness or difficulty dealing with a diagnosis of Parkinson’s is a normal part of the experience. But depressed mood that causes significant, long-lasting distress and is accompanied by serious impairment in social, occupational or other important areas of functioning (attributed to the mood issue and not Parkinson's) is not normal. Depression may also be hard to identify because some of the symptoms (weight loss, sleep disturbance, fatigue etc.) are very similar to the manifestations of Parkinson’s disease. And, unfortunately, there is still underreporting of depressed mood due to the perceived stigma associated with such a diagnosis. Anxiety is another mood disturbance that affects up to half of all people who have Parkinson's disease, much greater than the general population, where 5 to 10 percent is burdened by this disorder. When motor symptoms are accounted for, increasing the severity of anxiety, like depression, is associated with poorer quality of life. Generalized anxiety disorder which is excessive worry about any number of issues and is associated with restlessness, fatigue, poor concentration, muscle tension, sleep disturbance and so forth. Panic disorder is characterized by discrete periods of intense anxiety or fear that develop rapidly and are accompanied by palpitations, sweating, amplification of tremor, shortness of breath, dizziness and often a fear of dying. Social phobia in which there is marked and persistent fear of social situations, not limited to concerns about the way their Parkinson’s symptoms may be viewed by others. Obsessive-compulsive disorder characterized by persistent or repetitive thoughts or behaviors. There also exists an interesting phenomenon called nonmotor fluctuations where mood issues such as depression or anxiety are a feature of the “off” periods in Parkinson’s patients, resulting in frequent shifts in mood, multiple times per day. Those “off” periods are usually recognizable from the poor motor symptoms and other nonmotor manifestations of the disease that also occur along with the changes in mood. So along with the stress of dealing with the daily challenges that Parkinson’s presents, those who face this illness are also at increased risk for mood disorders. It is important for patients and those involved in their care to become educated and remain vigilant about these potential mood changes. Because if not recognized and treated in a timely manner, they can significantly impact the quality of life and make management of Parkinson’s in general, much more difficult.